​Recommendations are based on your hearing loss, lifestyle , and budget considerations. We thoroughly educate our patients about their hearing loss, hearing aids and realistic expectations. 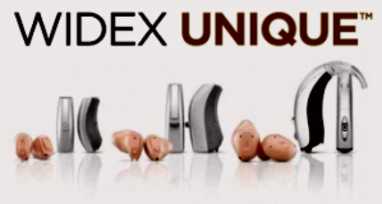 Patient's are offered a variety of hearing aid choices from only the leading manufacturers in the hearing aid industry- those who provide high quality instruments, the latest technology, and dependable service. A key component to every successful hearing aid fitting is the ability to measure or verify the outcome. We use the Audioscan Verifit - the number one rated real ear system in North America. Verifit's Speechmap® technology allows us to measure the output of the hearing aid at the eardrum using real speech. This process ensures accuracy and reproducible validity by using a methodology based on solid science rather than guesswork. Also, it allows patients to better understand their hearing loss through visual representation. We also recommend LACE (Listening and Communication Enhancement) training to those who desire to improve their ability to understand speech in noisy environments. Please see our video! Hearing aid exam and selection. Hearing aid fitting and orientation. 60 day trial period- 100% refund if not satisfied. Batteries for the first year. Annual evaluation of hearing aids. Minimum two year repair warranty on most models. with or without hearing aids! Televisions...this allows you to listen to the TV through both hearing aids- no need for headphones! You have the ability to hear the TV and have a conversation with others in the room. You control the volume to your hearing aids while others can set the volume to their comfort level. Mobile Phones...there are various solutions for you to use hearing aids with your cell phone. All advanced hearing aids now have options to connect to mobile devices. Often there is an accessory that allows the hearing aids and cell phones to "talk to each other". Even some older hearing aids without BlueTooth technology can connect to cell phones. Landline Phones...there is a new landline phone that will connect to some hearing aids without the push of a button or switch! It works like any other phone so that other family members may use it as well. We are committed to offering the highest quality of service with the highest quality products. November 30, 2016... Introducing the best-sounding made for iPhone technology. With a customizable app allowing full streaming functionality and control over the listening environment, the new WIDEX BEYOND hearing aid provides the wearer with seamless 2.4 GHz direct connectivity anywhere and anytime.